The SL4M is the price-performance leader of the Printronix SmartLine series of RFID printers for industrial and commercial applications. Breaching the economic barrier for many RFID applications, the SL4M utilizes short-pitch technology which allows it to print smaller, more affordable labels for closed loop and item level RFID applications. 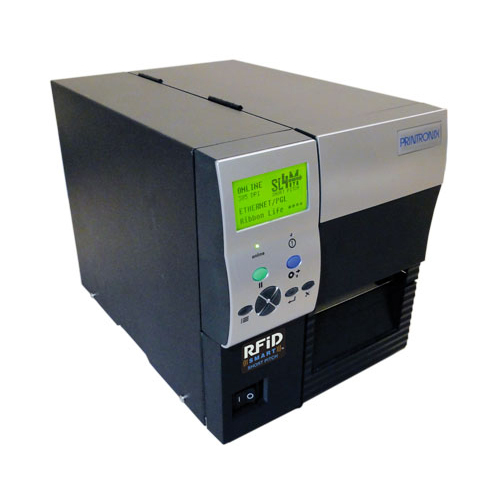 Based on the Printronix reputation for reliability, durability, and dependability, the SL4M uses the same PSA3 advanced electronic architecture found in the high performance SL5000r printer. It builds upon Printronix growing leadership and established RFID ecosystem to support manufacturers, retailers and government agencies seeking to improve their supply chain management with RFID technology.